c) A sober, no-nonsense colour – black – has been chosen, which, combined with the highly polished surface emphasises the status of the building and its occupants. c) Is also making a statement, but this time of the two-fingered variety! Without going to this extreme it is still possible to make a statement, whilst both acknowledging the architecture and also ones neighbours. This treatment was to change very little over the next century, although the colour range broadened. So read an early Victorian specification, which is revealing for what it tells us about the high degree of sheen that was considered desirable. In the early years of the nineteenth century a rather murky green would have been produced by adding a black pigment to yellow ochre. However, from the second quarter of the century Bronze greens and Brunswick greens became popular. These both appeared in a number of variations and saw great use over the next one hundred years plus. In its light form the former colour gave the impression of patinated bronze. 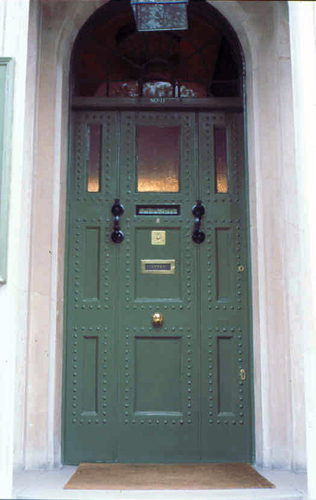 An example of this can be seen on the door of the Soane Museum, in Lincoln’s Inn Fields, London. This is the sort of colour scheme likely to have been found on a typical suburban house until the 1960s. 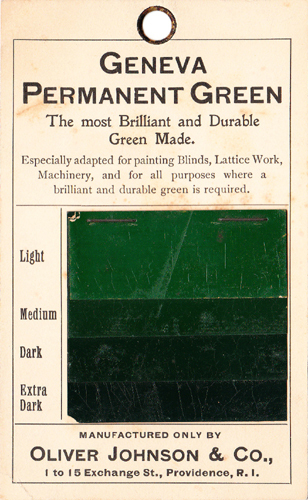 The darker version of this colour was sometimes known as “British Racing Green”. Graining is still seen widely in Edinburgh and other parts of Scotland, but less so in England. 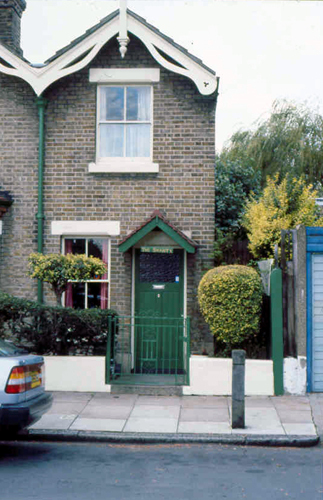 I wonder if this example photographed in Chiswick nearly twenty years ago survives? The superb walnut-grained front door has a protective curtain, which would have prolonged its life even more. A number of brownish colours were also employed. These ranged from reddy-brown, through browns of the same tonality of oak, to much darker chocolate browns. 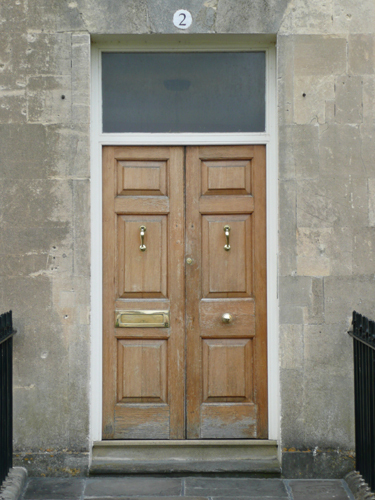 Sometimes the doorcase, if there was one, and the door surround would have been painted in the same colour as the front door. Frequently, however, these elements would have been painted in a pale stone colour. 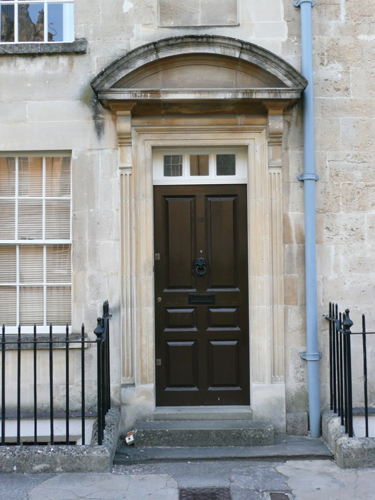 So reads another typical specification of the 1840s for a small terraced house of the type that can still be found in many British cities. 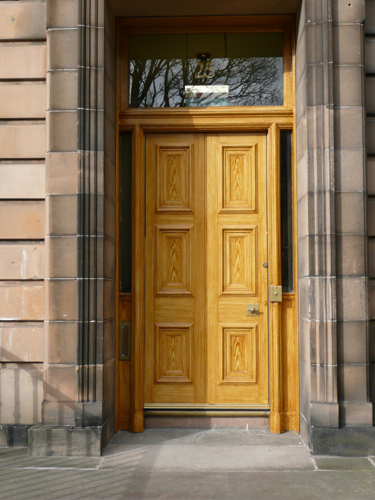 As mentioned already, doors would often have had a glossy finish, which was achieved by applying two coats of copal varnish over the (already shiny) oil paint. 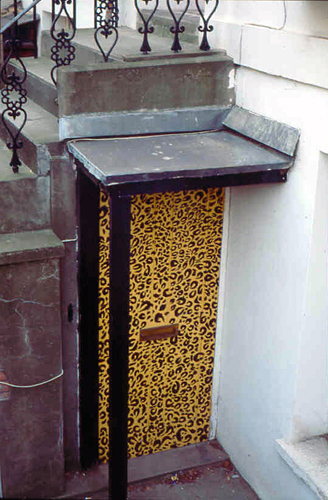 The notion that a matt finish was desirable on external surfaces during the period is false, and based on the tendency of lead paint to “chalk” after only a few years. From an early date it was well understood that a paint with a degree of sheen was necessary to cope with everyday wear and tear and the rigours of the weather. It is somewhat ironic that the huge demand for an “external eggshell” paint has been led by those companies producing ranges of ostensibly “historic” colours. 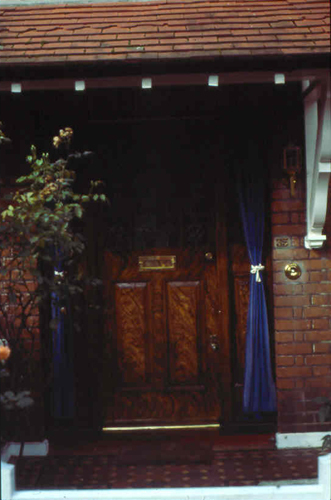 Here we have the “Anonymous” front door with its satin nickel door furniture and its close cousin the “Phantom”, where camouflage is the order of the day. Alas, year after year, and more and more, is this tradition of strong colours disappearing. This tradition which serves on English houses as the stamp of Britain, and which the world over is significant of English strength, is tending to be replaced by other mediocre colours: neither delicate nor strong, and often detestable. The insipidity of _____’s Lavender struggles with the superb solidity of Bass, and the result is neither one thing nor the other: a mutual concession which, as with all concessions, ought not to be classed as art (while it is admitted that it might be worthy of other things even diplomacy). One would say that the refined range of colours is trying to supersede the strong. 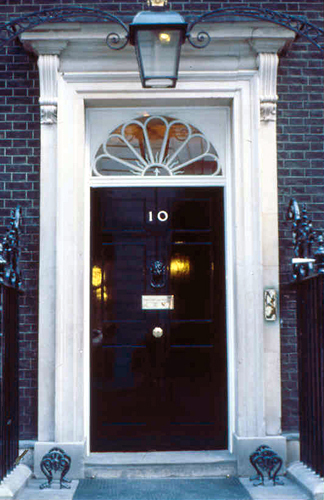 1 There are two identical front doors for No 10 Downing Street that are swapped over whenever maintenance is required. 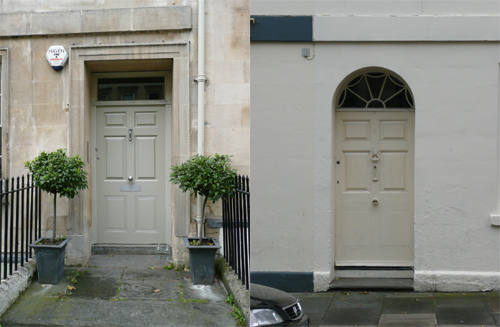 The ’0′ in the number 10 is painted at an angle as the original door has a badly-fixed zero. Perhaps only in Britain would a tradition evolve from such a mistake! 2 Amédée Ozenfant. “Colour: The English Tradition.” Architectural Review, 81 (January 1937) 41-44.